If you have school-aged children you know one of the biggest concerns is head lice. It is a truly horrifying experience to go through especially if it isn’t treated and removed immediately. Luckily, my son is still in preschool so I don’t think that he’ll be coming home with it anytime soon. However, if your child is in school with many other students there is a higher risk they may come in contact with these pesky little creatures. 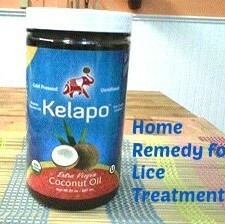 Instead of using an over the counter medicine with harsh chemicals, you can use coconut oil for an at-home-remedy. Wash your hair with apple cider vinegar. Do NOT wash it out, leave it in until the vinegar dries. When dried, add coconut oil to your hair. Use enough coconut oil to completely coat all of your hair with the oil. Cover your hair with a shower cap or wrap with a towel and leave it on for the whole day. At the end of the day unwrap your hair and comb out as many of the eggs and lice that you can. Shampoo as normal. By using this home remedy you avoid adding those harsh chemicals to your child’s, or your own head. The vinegar dissolves the “glue” which sticks the eggs to your hair follicles. 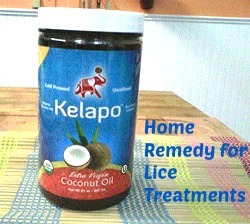 The coconut oil works by smothering and killing the lice on the infected area. Hopefully I won’t have to use this, but if I do, I know it’ll be safer for my family than the over-the-counter options.